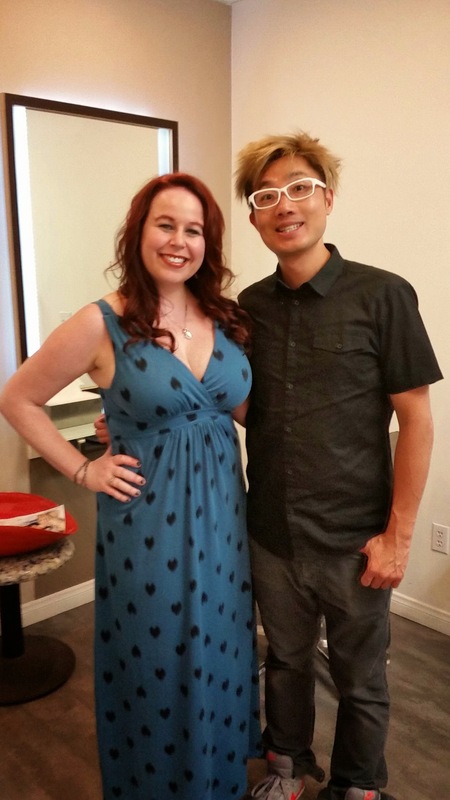 A few weeks ago I was invited by the celebrity stylist, Nelson Chan into his salon to get my hair colored! I was very excited as in the past I did review his hair products… (Great products for a good price might I add…read about them here –> Nelson j Salon Products). 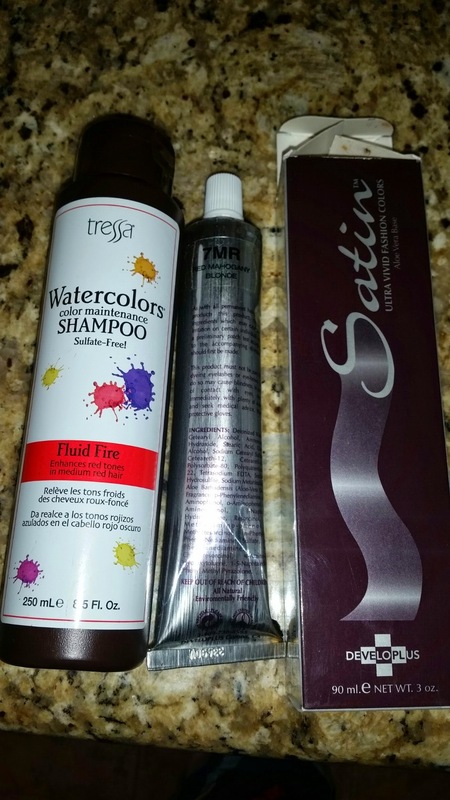 These products worked wonders on my hair and helped to add quite a bit of moisture and they smell great! J Nelson Chan is a stylist that does hair styling, coloring, etc for a variety of celebrities, including Lady Gaga, Paula Abdul, Heather Graham and many more (See list of people here – Celebrities) , so I was quite honored to have the opportunity to meet up with him in his Beverly Hills Salon. 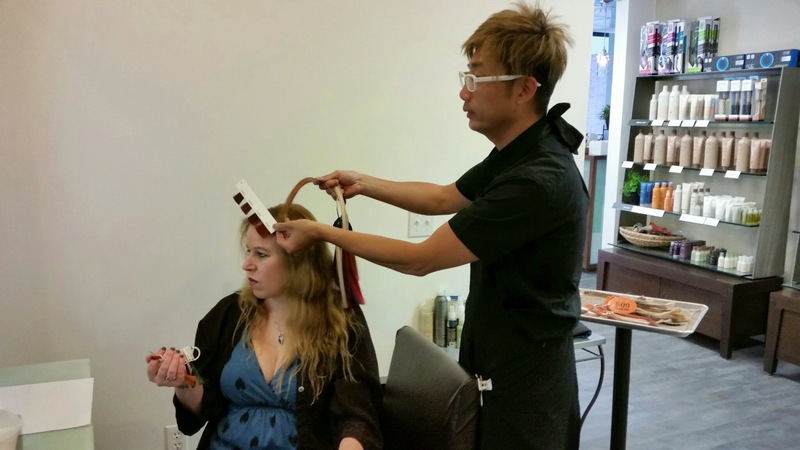 The salon is conveniently located at 350 North Bedford Drive in Beverly Hills, CA near Rodeo Drive and Santa Monica Blvd. Nelson Chan explained to me that he has been working with hair for 20 years now after getting his start in his father’s friend’s salon. He definitely has a wealth of knowledge and experience about the topic and I decided to call him my “Hair Doctor.” That one made him laugh. Really though, if you think about it…it is so true…when you sit down in a salon, you are putting all of your faith into the person working on your hair that they will do a good job and if they do not, it can really change your whole appearance…hence my “hair doctor” statement. :) A doctor does prescribe and advise, as hair stylists do as well. 🙂 Nelson regularly works in his salon, Nelson J as well as on call to celebrity homes and on movie sets. After being seated comfortably, Nelson came over to me to ask what sort of color I wanted to make my hair. J When I told him I was looking to go from blonde to red, he as well as other stylists in the salon were pretty excited about the drastic transformation I was about to make. 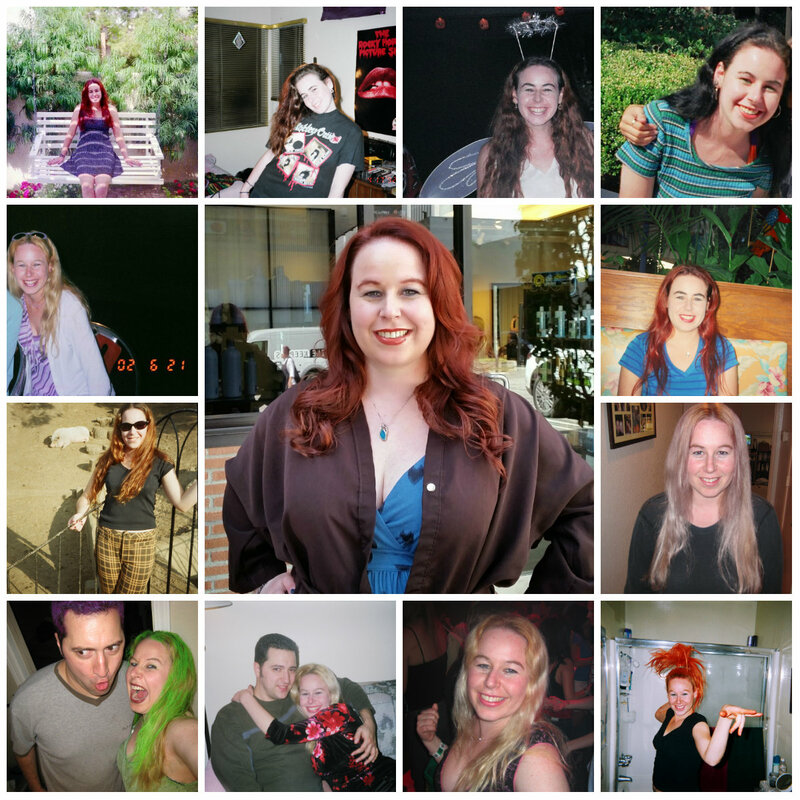 I last had red hair when I dyed it myself when I was 19 years old, which is 18 years ago!! 🙂 Nelson quickly brought to me a set of sample hair colors and a color wheel to see what types of color options there were for red hair and I of course went for the brightest and most flamboyant of the ones he shared…just to match my personality of course! JFor those of you that know me, I am pretty outspoken and can get a little hotheaded at times, so I definitely could fit the stereotypical version of a red head! 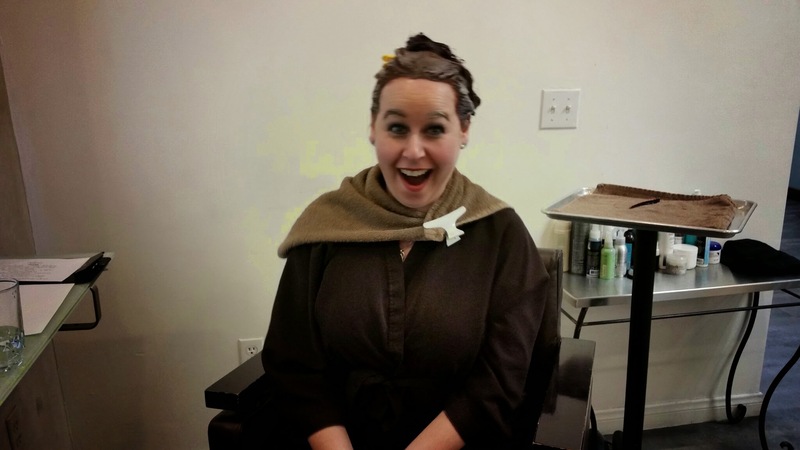 Hahaha…but seriously I was very excited to embark on this color journey! As Nelson applied the special color mixture to my roots and slowly stroked it through my hair I could feel my excitement grow! 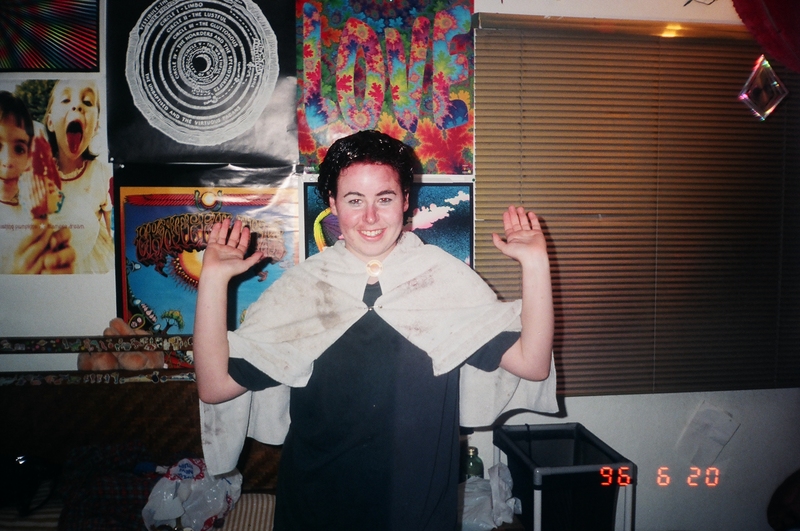 I had presented to Nelson the only picture I could find of myself with red hair at the age of 19 to show him what I wanted it to look like, so I was aware of the what the color outcome would be. :) As my girlfriend and I chatted and waited for my color to develop, I was approached by a masseuse that offered me two options for massage services of shoulder, neck, and back while I was waiting. I kindly accepted a 20 minute neck and shoulder massage for $15 which was money well spent! She did such a great job and really got to so many tense areas in my neck. 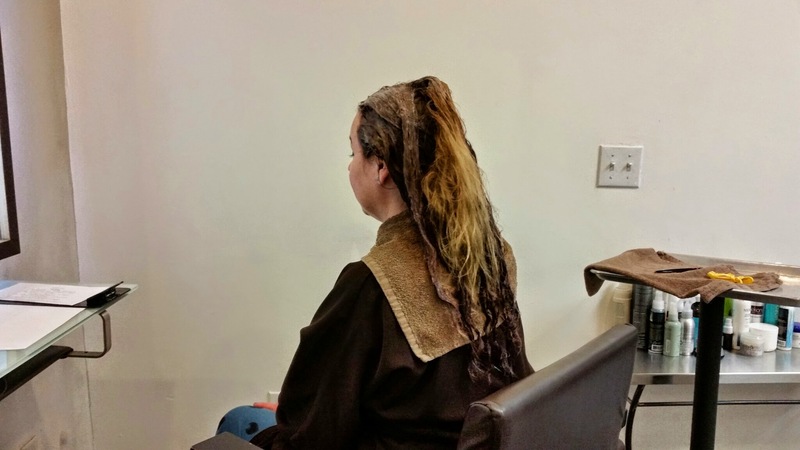 Once the color was set in my hair, I was brought to an area of super comfortable chairs that embraced your body and held your neck perfectly in the sink to be ergonomically proper and not to offset my awesome massage I had just received. 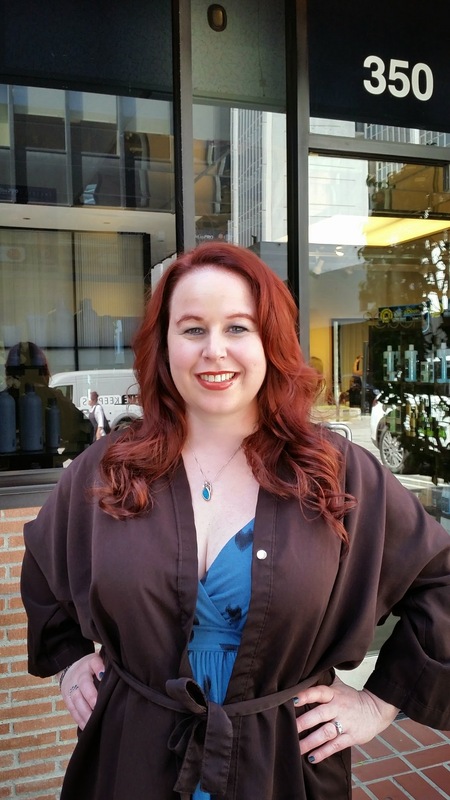 When I started to smell the coconut aroma of the hair mask that Nelson was rubbing into my newly washed red locks, I was building excitement and anticipation to look in the mirror to see my new color and look. As one of Nelson’s stylists proceeded to blow dry and style my hair after the mask, I was anxiously awaiting my new style. An awesome product that the stylist used on my hair was for heating treatment. 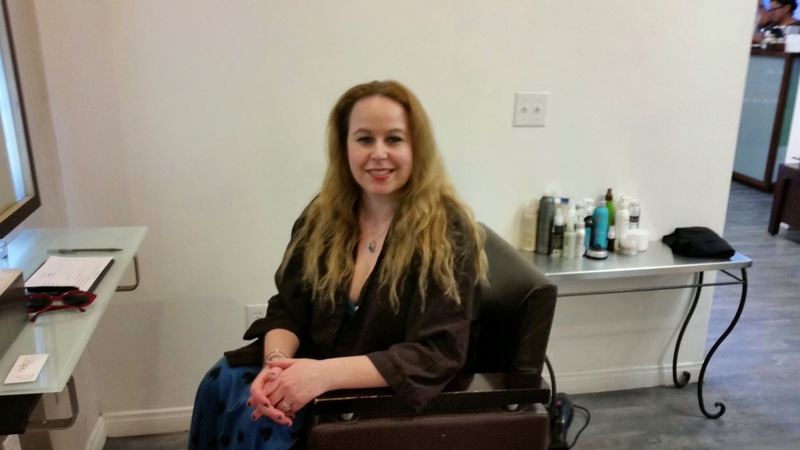 The product was called Moroccan Oil Heat Styling Protection. The product specifically keeps moisture locked in your hair when you are applying heat, whether it is with a blow dryer or a straightening iron. Moroccan Oil also prevents breakage and split ends, leaves a glossy finish to the hair, and helps protect color fading. I ended up purchasing this product when I left and thoroughly enjoyed using it when I was out of town on a mini vacation a week ago in Las Vegas! This product is well worth the $28! As always, thanks for reading and please let me know if you have had an opportunity to visit Nelson j Salon. I hope you get to do so soon, if not. You will definitely be impressed with this place. 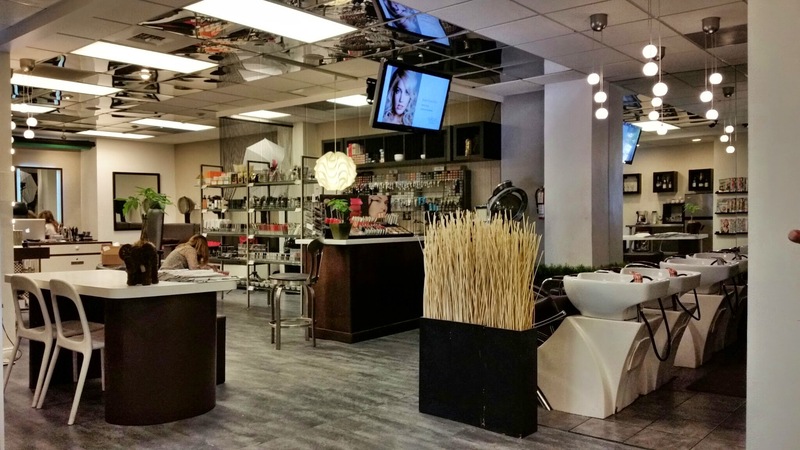 They do a great job and treat you really well and of course there are so many fun areas to shop and sight see after you get your hair done. To get weekly posts about how to save money, please subscribe to and follow my blog. For those of you on iphone, please open a new browser window and go to www.danisdecadentdeals.com and then scroll down to the bottom and click view full site and the follow button will be there. Just put in your email. :) Please feel free to like my facebook page, Dani’s Decadent Deals as well to get daily deals everyday for everything from clothing deals, travel deals, restaurant deals, activities, and kids’ events. 🙂 Have fun saving!!! I love your new look – red hair suits you! Wow, I love the new color! It looks great on you! They definitely did a wonderful job! The red is wonderful and I’m so glad you enjoyed the experience!! Thanks so much for sharing! Blonde was pretty on you but red head looks even better. You are rocking it girl! Love it! I love the red hair on you. Looks like you had a pampering day! Thank you:) Have a great day!